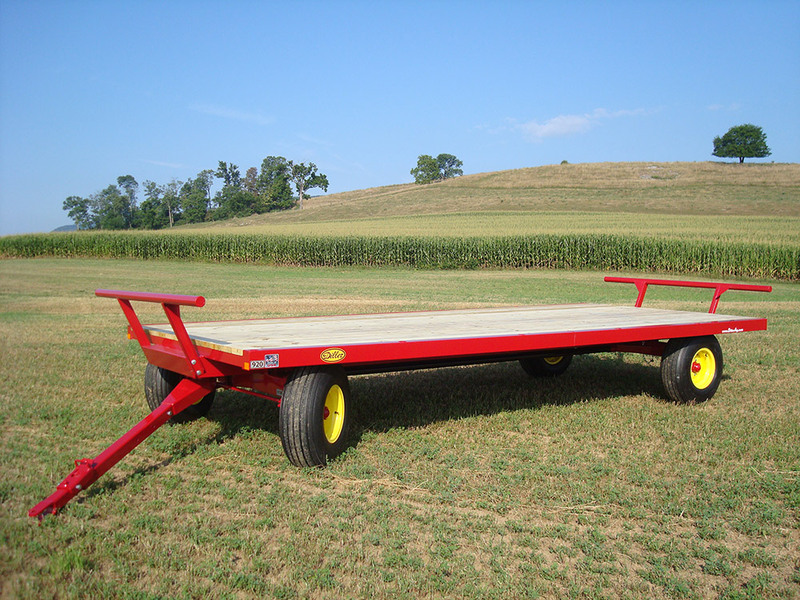 A Diller Standard Duty Flatbed Wagon will serve in many different capacities on your farm, ranch or even a commercial jobsite. Diller Wagons have long been highly regarded for their durability and smooth trailing ride, the Diller standard duty flatbed is no exception to the Diller legacy of quality. 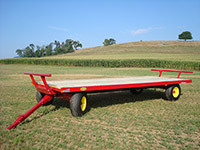 Diller's Standard Duty Series Flatbeds are practical for many uses such as hand stacking small square bales, stacking small squares with a bale accumulator system, hauling round bales and even as a storage solution for miscellaneous equipment on a farm or construction site. 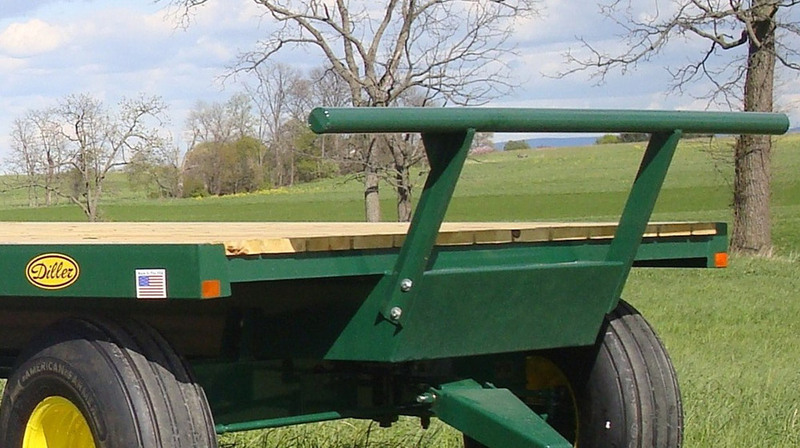 Many of our standard duty flatbeds are used in produce growers operations and are ideal for that purpose with the option of a short perimeter rail system to secure boxes or crates of produce. 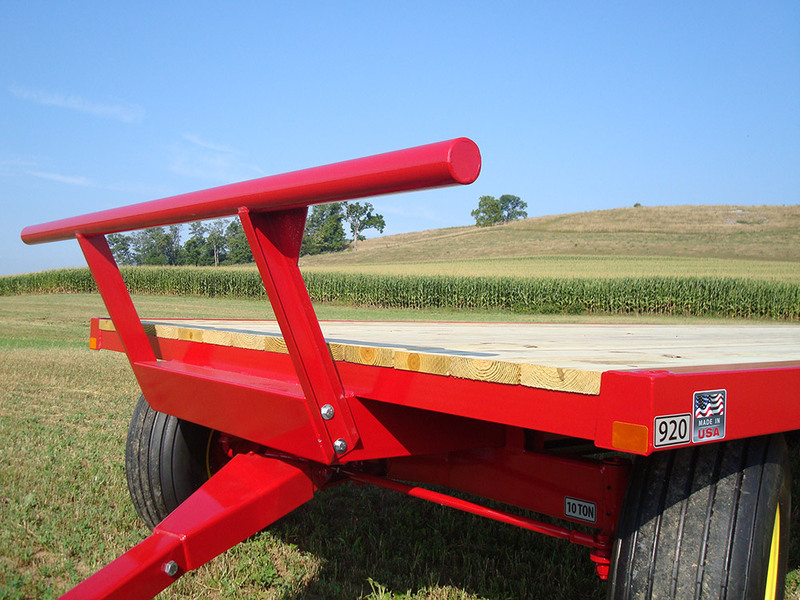 Every Diller Standard Duty Flatbed can be quickly converted to a bale wagon with the addition of a Diller Steel Bale Side Kit which drops into the pockets on the formed steel sides of the bed. 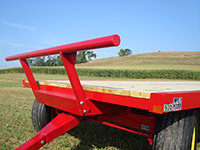 Detachable front and rear bulkheads are a popular option to prevent the load from shifting during braking or acceleration. 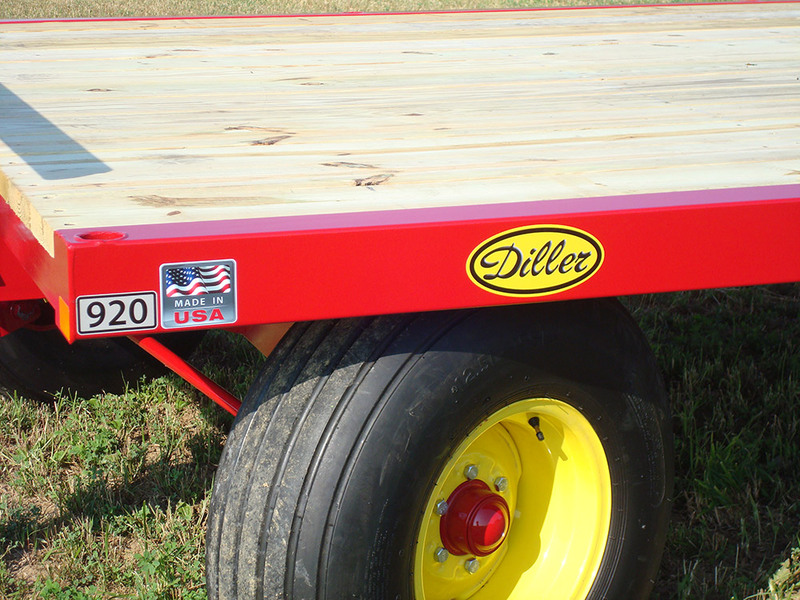 Safety upgrades, such as lights kits and brakes are becoming more common on Diller Wagons today. 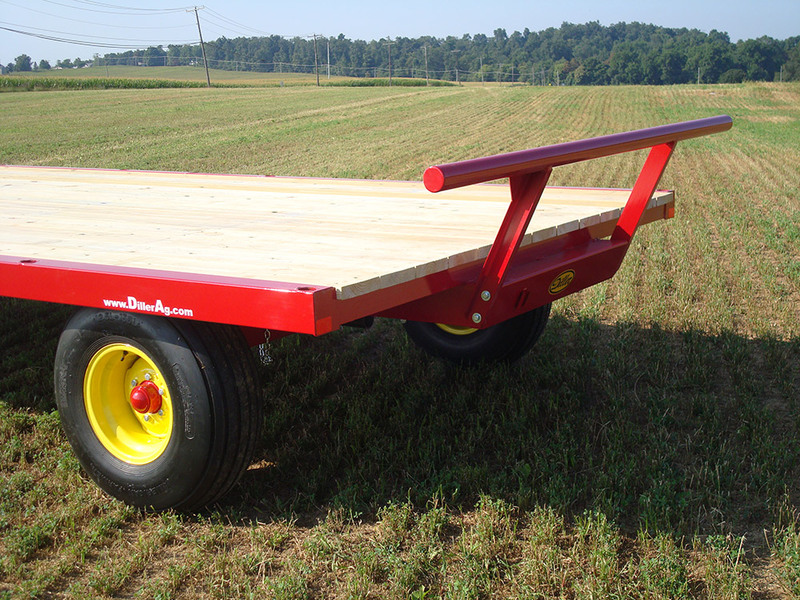 Every Diller Standard Duty flatbed begins its construction with a sturdy frame of structural steel channel (6" or 8" depending on wagon size and application) which distributes a heavy load evenly. 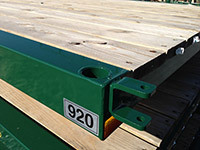 Rather than laying wood deck boards over the frame, every Diller Standard Duty Flatbed utilizes a layer of 3" structural channel crossmembers spanning the frame, evenly distributing weight from the deck onto the frame. 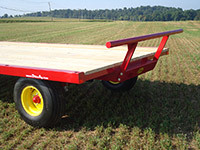 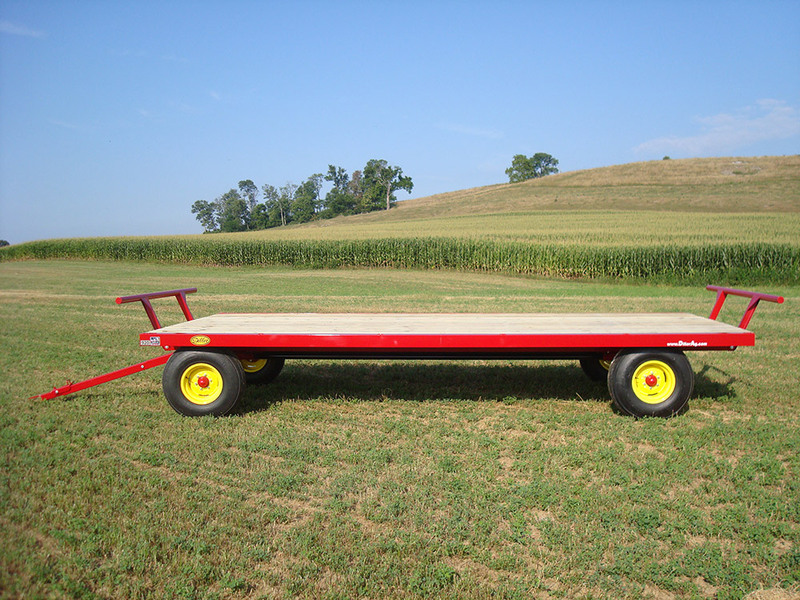 Sturdy steel side rails of 12 gauge formed sheet metal make up the perimeter of the wagon with recessed "Kicker Rack" pockets for steel bale sides. Pressure treated pine is the standard decking material, for those customers looking for a more durable, longer lasting decking surface we offer Oak or 4# steel grating (3x the strength of expanded metal) which will last the lifetime of the wagon.